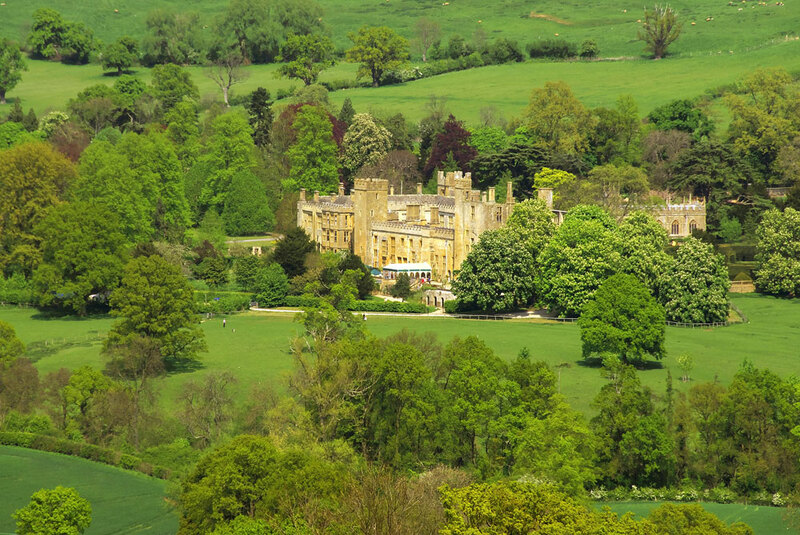 Set against the dramatic backdrop of the Cotswolds, in an Area of Outstanding Natural Beauty, Sudeley Castle & Gardens is just eight miles from Broadway. It has played an important role in the turbulent and changing times of England’s past, with royal connections that stretch back over 1000 years. Today it is a much loved family home and popular visitor attraction. Inside, the castle contains many fascinating treasures from ancient Roman times to the present day. Outside, the castle is surrounded by award-winning gardens and a breathtaking 1,200 acre estate – all in the heart of the Cotswolds. The castle was once home to Queen Katherine Parr, the last and surviving wife of King Henry VIII, who is also buried in the grounds. Henry himself, Anne Boleyn, Lady Jane Grey, Queen Elizabeth I and Richard III have all played a part in Sudeley’s story. King Charles I found refuge here during the Civil War, when his nephew Prince Rupert established headquarters at the Castle. Following its ‘slighting’ on Cromwell’s orders at the end of the Civil War, Sudeley lay neglected and derelict for nearly 200 years. King George III was amongst those sightseers who came to admire its romantic ruins. Then in 1837 Sudeley was rescued by the wealthy Worcester glove-makers, brothers John and William Dent, who began an ambitious restoration programme which was continued by their nephew, John Coucher Dent, when he inherited the castle in 1855. His wife, Emma Brocklehurst, threw herself enthusiastically into Sudeley’s restoration, at the same time forging strong links with the nearby town of Winchcombe. It is the results of Emma’s dedication that are so evident in the gardens and exhibitions at Sudeley today. Sudeley Castle & Gardens is now the home of Elizabeth, Lady Ashcombe and her son, daughter and their families. The family is committed to the continued preservation of the castle, its treasures and the ongoing restoration and regeneration of the gardens. 500-798-Roman villas were built in the area around Winchcombe. Anglo-Saxon tribes called the Hwicci settled the Severn Valley. Winchcombe became the chief city of Mercia under King Offa. 798-Winchcombe Abbey (Benedictine) founded and completed in 811. 877-Vikings reached Winchcombe and caused considerable damage to the Abbey. 969-In 969, during the Benedictine revival, Oswald, bishop of Worcester, compelled the secular clerks who were then dwelling at Winchcombe to withdraw. In their place he put monks to keep the strict rule of St. Benedict, as it was then observed at Fleury, and appointed Germanus, dean of Ramsey, as their abbot. On the death of King Edgar there was a revulsion of feeling in Mercia in favour of the secular priests who had been ousted. In 975 the monks of Winchcombe were expelled and returned to the monastery at Ramsey from which they had come. King Ethelred (The Unready) gave the Saxon manor house and estate at Sudeleagh to his daughter Goda, sister of King Edward the Confessor, on her marriage to Walter de Maunt. Their son Ralf de Mederatinus became Earl of Hereford. 1066-Norman Conquest – Ralf’s son Harold was allowed to retain Sudeley but he was deprived of his earldom by William the Conqueror. 1085- Domesday Book entry for Sudeley – Held by Harold de Sudeley : taxed at 12 Hides; there were 31 plow villages, whereof 4 were in demean, 6 water mills and a wood 3 leagues long by 4 leagues wide (4½ miles by 3 miles). Harold was succeeded by his son John de Sudeley, who married Grace, daughter of William Tracy, an illegitimate son of Henry I. 1139-During the reign of King Stephen the Sudeley manor house was fortified. John revolted against the King and joined Matilda in her attempt to gain the English crown. Stephen seized Sudeley and made it a royal garrison – first destruction of the castle which was then sited in the Hopyard Field. 1165-Ralph de Sudeley succeeded to Sudeley Castle and gave Toddington to his brother William, who assumed his mother’s name of Tracy and was the ancestor of the present Tracy family. 1170- William de Tracy was one of the four knights who murdered Thomas a Becket in Canterbury Cathedral. 1367- John 9th Lord de Sudeley was killed in Spain while fighting for the Black Prince having earlier been Lord Chamberlain to Edward II. Sudeley inherited through his sister by the Boteler family. 1440- Ralph Boteler – Military commander and Member of the King’s Household under both Henry V and Henry VI was made a Knight of the Garter and created Baron Sudeley by King Henry VI. 1442- Boteler built Sudeley Castle on its present site using his spoils from the Hundred Years War with France. Building constructed on the double courtyard plan surrounded by a moat; the first courtyard containing quarters for servants and men at arms; state and family apartments in the second courtyard. The Chapel (now St Mary’s Church) and the Tithe Barn also built at this time. 1443- Boteler appointed Treasurer of the Exchequer and High Treasurer of England. 1469- Wars of the Roses – Edward IV of the House of York came to power and Boteler a Lancastrian supporter was forced to sell Sudeley Castle to the King. Sudeley Castle was now Royal property. Edward IV granted it to his brother, Richard Duke of Gloucester who held the estate for nine years, using it as his base for the Battle of Tewkesbury. 1478- Richard Duke of Gloucester exchanged Sudeley for Richmond Castle in Yorkshire, Sudeley remaining Royal property. 1483- Richard acceded to the throne as Richard III and became the owner of Sudeley Castle for the second time. During his ownership the magnificent Banqueting Hall with its splendid oriel windows and adjoining State rooms, now in ruins, were built in place of the Eastern range of Boteler’s inner court as part of a Royal suite. It was a pre-contract of marriage between Edward IV and Boteler’s widowed daughter-in-law Lady Eleanor Boteler (formally Lady Eleanor Talbot) which Richard III relied on to declare Edward IV’s marriage to Elizabeth Woodville bigamous and their children illegitimate. 1485- Richard III defeated and killed in the Battle of Bosworth bringing to an end the Wars of the Roses and the House of York. 1486- Henry VII, the new monarch granted Sudeley Castle to his uncle and staunch supporter, Jasper Tudor, Duke of Bedford, who held it until his death in 1495 when, as he left no children, it reverted to the Crown. 1535- Sudeley Crown property – Henry VIII and Anne Boleyn visited the castle from 21st-26th July. The King met with Thomas Cromwell at Winchcombe Abbey to plan the dissolution of the monasteries. Anne Boleyn investigated the Blood of Christ at Hailes Abbey. 1547- Following the death of Henry VIII, his son, King Edward VI, granted Sudeley Castle to his Uncle, Sir Thomas Seymour, appointing him Lord of Sudeley and later Lord High Admiral of England. Seymour married Henry VIII’s 6th wife and widow, Katherine Parr, continuing a relationship which began before her marriage to the King. 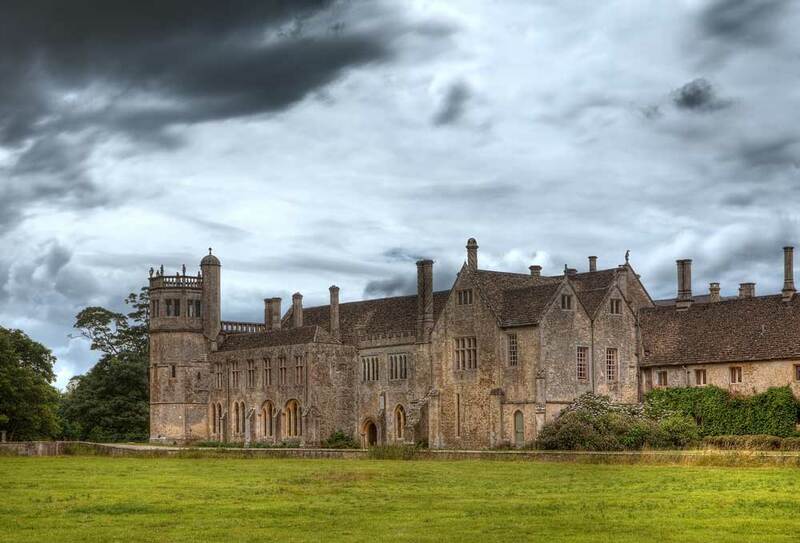 1548- Seymour and Katherine moved to Sudeley Castle which Seymour refurbished to accommodate his new bride. They were accompanied by Lady Jane Grey and the cleric Miles Coverdale, with maids-of-honour and gentlewomen-in-ordinary, more than 120 gentlemen of the household and Yeoman of the Guard. On August 30th Katherine gave birth to a daughter, Mary, only to die on September 5th of puerperal fever. She was 36-years-old. She was buried in the Chapel of St Mary at Sudeley with Lady Jane Grey officiating as Chief Mourner. 1549- March 20th – Seymour was executed after being indicted on 33 counts of ‘Treason and other Misdemeanours against’ King and Crown. They included his courtship of the Princess Elizabeth who on hearing of his execution commented “This day died a man with much wit and very little judgement.” The history of Lady Mary Seymour, the child of this short-lived marriage, remains a mystery but she did not receive her rightful patrimony and never lived at Sudeley Castle. 1554- Mary I granted the castle and manor of Sudeley to Sir John Brydges (who as Lieutenant of the Tower had attended Lady Jane Grey on the scaffold) creating him Baron Chandos of Sudeley. His descendants held Sudeley Castle for the next 100 years. 1572- Edmund 2nd Lord Chandos carried out extensive alterations and additions to Sudeley Castle. 1592- Elizabeth I visited Sudeley Castle for the third time staying there with the 3rd Lord Chandos during her summer progress to celebrate the anniversary of the defeat of the Armada. The three day celebrations have been described as one of the longest parties in history. 1642- August 22 – Charles I raised his standard at Nottingham and at Sudeley Castle George 6th Lord Chandos declared his support for the King. He armed his tenants and servants, placed the castle under the command of his brother and marched to join Charles at Shrewsbury with 1,000 men and £500 worth of gold plate. 1643- January – in the absence of Lord Chandos Sudeley Castle was surrendered after a three day siege to Colonel Massey and his Roundhead troops. Two days later Charles’s nephew, Prince Rupert of the Rhine, encamped with 4,000 men near Sudeley, from where he attacked and captured Cirencester, forcing the Roundheads to abandon Sudeley, but not before they had desecrated the Chapel of St Mary, turning the tower into stabling and the chancel into a slaughter-house. In April Sudeley Castle was re-garrisoned by Lord Chandos and in September, after the Royalist defeat at Gloucester, King Charles made it his headquarters. 1644- Sudeley Castle was again attacked by the Parliamentarians, under the command of Sir William Waller, and after suffering a severe bombardment, was surrendered by Sir William Morton, governor of the castle. 1649- After Sudeley Castle had been garrisoned by Parliamentary Troops for nearly five years – the Council of State gave orders that the castle be ‘slighted’ or rendered untenable as a military post. Lord Chandos was allowed £1,000 compensation for the destruction of his castle. He never returned and the title and estates passed to the Pitt family of Stratfield Saye. 1655-1782- For two centuries the ruins of Sudeley Castle lay neglected and left to the ravages of the weather, its stones plundered by local builders. The title and estates changed hands many times and what little remained of the castle was occupied by the tenants of the surrounding estate and was also at one time an inn, the Castle Arms. 1782- Katherine Parr’s tomb was discovered in the ruined Chapel and her coffin opened for the first time. 1788- George III during his stay in Cheltenham visited Sudeley Castle tripped and fell down the staircase of the Octagon Tower only saved from serious injury by Mrs Cox the housekeeper who broke his fall. 1810-Lord Rivers of Stratfield Saye sold the castle to the Marquis of Buckingham, afterwards Duke of Buckingham and Chandos. 1817-Katherine Parr’s coffin having been opened and plundered on several more occasions was removed from its open grave to the stone vault of the Chandos family. 1837-John and William Dent, wealthy glovemakers from Worcester bought the castle from the Duke of Buckingham and Chandos, having already purchased the rest of the estate from Lord Rivers in 1830. 1840- With their architect, Harvey Eginton of Worcester, the Dents had completed the restoration of the Elizabethan ranges of the outer courtyard and a large part of the building was then habitable. 1842- The Strawberry Hill Sale – at which the Dents acquired some of the valuable Tudor treasures which help to furnish Sudeley Castle today. 1854-1855- The Victorian architect George Gilbert Scott employed to restore the Sudeley Chapel – completed and re-dedicated in 1863 – also to build the Stable block. 1856- Sudeley Castle was inherited by the Dent’s nephew John Coucher Dent who had married Emma Brocklehurst, daughter of John Brocklehurst, one of Macclesfield’s first MPs and head of the family’s successful silk milling business. 1865 and 1867- Almshouses and a School in Winchcombe, designed by George Gilbert Scott, were built with legacies from the Dent family. 1877- Emma Dent’s Book the ‘Annals of Winchcombe and Sudeley’ was published by John Murray. 1885- Emma Dent was an intelligent, cultured and industrious Victorian lady who cared deeply for the Sudeley Castle estate and neighbouring Winchcombe. Following her husband’s death in 1885 much of her energy was devoted to their improvement and continuing welfare. 1887- To celebrate Queen Victoria’s Golden Jubilee, Emma Dent provided Winchcombe with the town’s first piped water supply. 1890- Emma Dent completed the building works at Sudeley Castle which included the North and West Lodges, the Jubilee addition to the Western range, the North Tower and the new main entrance from Winchcombe. These were carried out with J Drayton Wyatt, George Gilbert Scott’s assistant. 1900- Emma Dent died and the castle was inherited by her nephew Henry Dent-Brocklehurst to whom her husband had bequeathed it when he died in 1885. The Dent-Brocklehursts have held Sudeley Castle in unbroken succession since that time. 1914 – 1918-World War 1- John Henry (Jack) Dent-Brocklehurst a Captain in the Coldstream Guards was twice wounded in France, then transferred to the Sudan where he served in the Egyptian Army until 1920. His sister, Marjorie died while en-route to visit her husband, Viscount Quenington in Cairo in 1916 and her husband was killed in battle a month later. 1927- Jack, now Major, Dent-Brocklehurst took over Sudeley Castle from his father, who died in 1932. Crippling death duties forced the sale of much of the land on which its upkeep depended and the original 12,000 acre estate is now only a tenth of its original size. 1930-New restoration and improvements on the Eastern range were designed and carried out by the architect Walter H Godfrey. 1939-1949-World War 2- A Prisoner of War camp for Italians and Germans who worked on the land was sited in the castle grounds. The castle itself became a ‘safe house’ where much of the Tate Gallery’s picture collection was protected from the London Blitz. 1949- Mark Dent-Brocklehurst inherited Sudeley Castle on the death of his father but his mother Mrs Mary Dent-Brocklehurst continued to live in the castle until 1969. About this time she inherited and brought to Sudeley the internationally renowned Walter Morrison fine picture collection – a collection of Dutch and English Old Master paintings built up by James Morrison (1790-1857) the great-great-great grandfather of the present owners. 1969- Mark and his American-born wife Elizabeth succeeded his mother as owners of Sudeley Castle and decided the only hope for its survival was to open the castle to the public. It took two years and a huge upheaval to adapt Sudeley Castle from merely a family home to a tourist attraction. 1972- Mark Dent-Brocklehurst died and once again Sudeley Castle was beset by more death duties and massive debts. His widow took on sole responsibility for the castle and began a 20th Century renaissance of the property. 1979- Elizabeth Dent-Brocklehurst married Lord Ashcombe and in the early 1980s they carried out a further major refurbishment, in an attempt to strike a balance between a visitor attraction and what remains primarily a family home. Elizabeth, Lady Ashcombe and her children, Henry and Mollie Dent-Brocklehurst have now taken over the management of the visitor attraction. Why not visit Sudeley Castle and other pretty Cotswold villages on one of our driver-guide or cycling Tours of the Cotswolds?